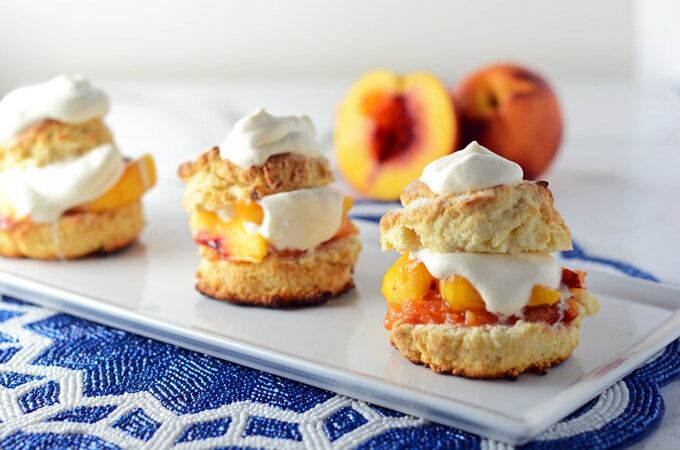 So we’ve all heard of Strawberry Shortcakes, but what about Peach Shortcakes? 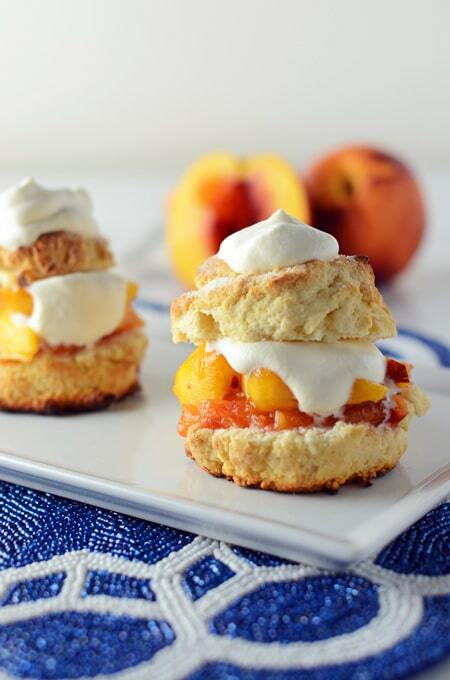 Yes, Peach Shortcakes! 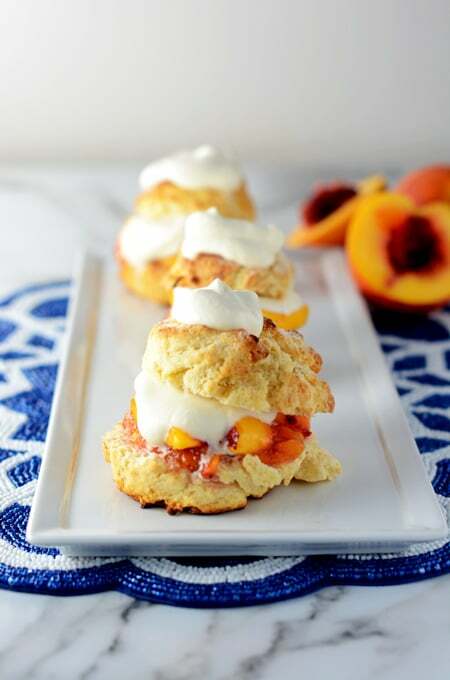 It’s perfect for summer time when peaches are plentiful, but even if you decide to make these in the middle of winter, this recipe has you covered all year long. Macerating the fruit in sugar is the traditional way to pull out the fruit’s juices, but for peaches this step alone isn’t enough. We want our shortcakes a little more juicy. To do that America’s Test Kitchen sliced the peaches very thin to maximize the surface area that would come in contact with the sugar. Then they microwaved a few of the peaches with peach schnapps to make a peach jam. I loved this jam on its own! This peach jam gave the Peach Shortcakes the moisture and sweetness that it needed. Orange juice or another orange liqueur can easily be substituted in place of the peach schnapps. Next up is the vessel that these stunning summer peaches adorn. For the classic buttermilk biscuit A.T.K. added an egg to develop more gluten while stirring vigorously to make a biscuit that would stand up under the weight of the fruit. You can substitute 1/2 cup low-fat yogurt mixed with 3 tablespoons milk for the buttermilk if you wish. Top this summer classic of with freshly whipped cream and prepare to enjoy. The great thing about this recipe is you can make it all year long with any peaches you have available. If your peaches are firm, you should be able to peel them with a sharp vegetable peeler. If they are soft, you will need to blanch them in a pot of simmering water for 15 seconds and then shock them in a bowl of ice water before peeling. 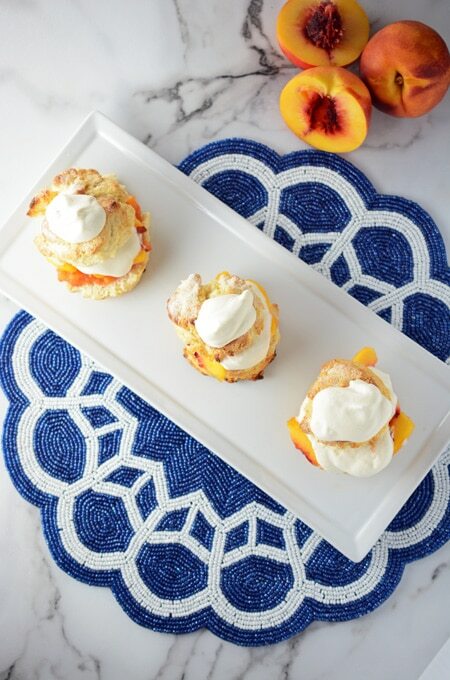 You can also check out the how-to video on how to make these Peach Shortcakes on Cook’s Illustrated website. 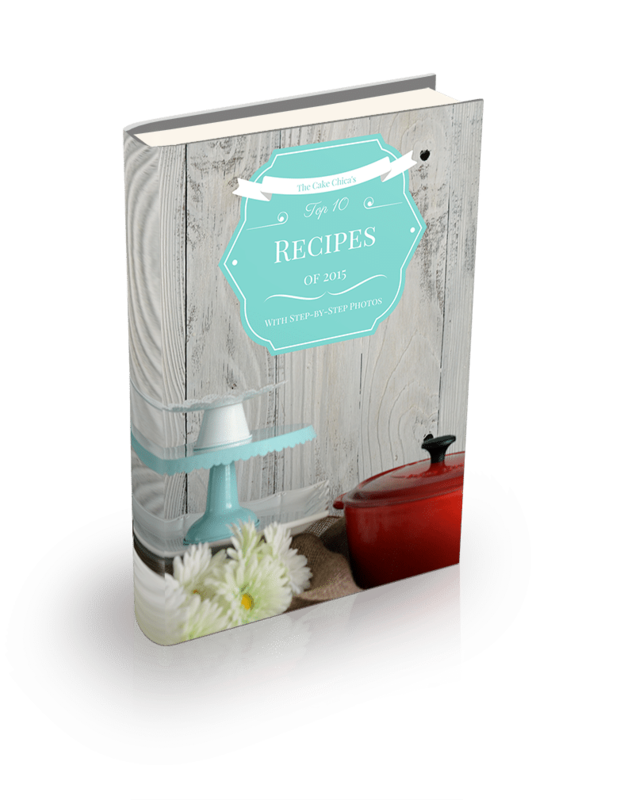 Get immediate access to foolproof recipes, taste tests, equipment reviews, plus clips and full episodes of public television’s most-watched cooking show. Try AmericasTestKitchen.com Free! Click the banner below for more details. And thank you for supporting The Cake Chica website. If you like this recipe be sure to check out these Strawberry Shortcakes! 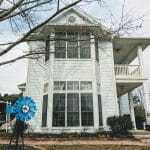 I also hang out on social media often so come say hi on Facebook, Instagram, Twitter, Pinterest and Yummly. Gently toss three-quarters of peaches with 4 tablespoons sugar in large bowl. Let stand 30 minutes. Toss remaining peaches with remaining 2 tablespoons sugar and schnapps in medium microwave-safe bowl. Microwave on high power until peaches are bubbling, about 1 to 1 1/2 minutes, stirring twice during cooking. Using potato masher, crush peaches into coarse pulp. Let stand 30 minutes. Adjust oven rack to middle position and heat oven to 475 degrees. 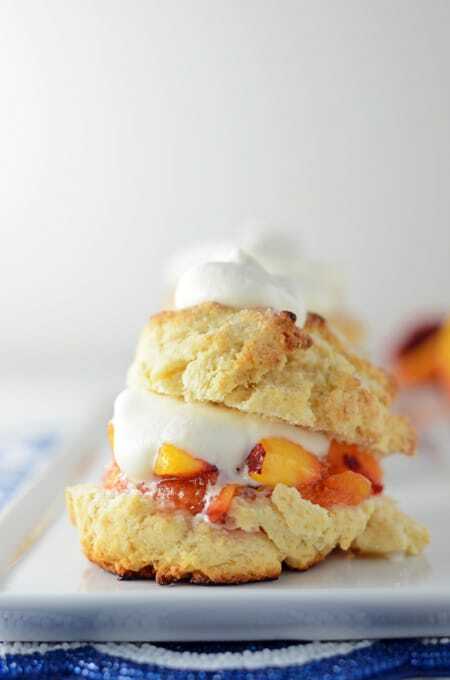 While peaches macerate, whisk flour, baking powder, 1 tablespoon sugar, and salt in large bowl. Whisk together buttermilk and egg in medium bowl; add melted butter and stir until butter forms small clumps. Add buttermilk mixture to dry ingredients and stir with wooden spoon until dough comes together and no dry flour remains. Continue stirring vigorously for 30 seconds. Using greased 1/3 cup dry measure, scoop up mound of dough and drop onto parchment-lined rimmed baking sheet (if dough sticks to cup, use small spoon to pull it free). Repeat with remaining dough, spacing biscuits about 1 1/2 inches apart, to create 6 biscuits. Sprinkle remaining tablespoon sugar evenly over top of biscuits. Bake until tops are golden brown and crisp, about 15 minutes. Transfer to wire rack and let cool 15 minutes before assembling. Using hand mixer or stand mixer fitted with whisk attachment, beat cream, sugar, and vanilla on low speed until bubbles form, about 30 seconds. Increase speed to medium; continue beating until beaters leave trail, about 30 seconds longer. Increase speed to high; continue beating until nearly doubled in volume and whipped cream forms soft peaks, 30 to 45 seconds longer. Split each biscuit in half and place bottoms on individual serving plates. Spoon portion of crushed peach mixture over each bottom, followed by peach slices and any exuded juices. 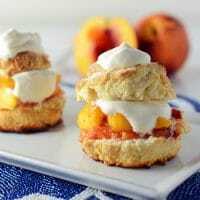 Top peaches with 2 tablespoons whipped cream, cap with biscuit top, and dollop each shortcake with some of remaining whipped cream. Serve immediately. These look perfect. Your biscuits came out so tall and fluffy = life goals lol Well done!